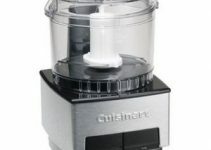 DLC-2009CHBMY is 9 cups mid-sized Cuisinart food processor. You might have been searching if this product is part of the recall campaign. The bad news is Yes but the Good part is ‘It had been part of recall campaign’. It’s been cleared from the recall campaign that is why you see Y at the end of model number. Before you read details it better to have quick look on Amazon says about the product. This would help in better understanding the below details. The base has powerful 600-watt motor which will be able to do handle medium density products easily. The top lid has large feed tube so you don’t have to do pre-cutting. As like other models it also comes up with multi-purpose chopping/mixing blade. In addition, the packaging also has 2 disc blades with detachable disc stems. All discs are made up of stainless steel. If you Cuisinart 9 cup food processor accessories to be organized and well arranged. Then consider the below holders and box. The touchpad has three buttons of ON, OFF and Pulse. In addition to the blades, the packaging includes a spatula specifically designed for this model. To help you with cooking a recipe book is also included. Therefore you would have to figure out how to use this machine with the help of recipe book. The recipe book covers all the 6 functions of grinding, pureeing, chopping, shredding, emulsifying and mixing. It can shred cabbage, chop onion, grate garlic, make pesto, salsa, coleslaw, grind graham crackers, make smoothies but it won’t be a good idea to grind meat with it. 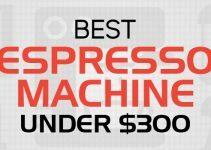 Almond butter or hummus you can make with this machine. It’s a brushed stainless plastic finish and will make your kitchen counter look beautiful. There is no dough button so you would have to do that with the ON button and by selecting the S-shaped blade. How to DVD is not included. 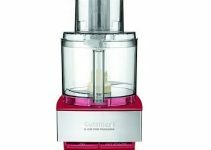 Has a 600-watt single phase induction motor and the full machine comes with 3 years of limited warranty. The safety locking mechanism is only there to make sure that you don’t get unnecessary cuts. After the first time, you will find it easier to set up the machine. Check the latest offers and book a unit for yourself.